More awareness, email may partially explain uptick in formal requests for information from Portland Public Schools. The state's largest school district is seeing a rising flood of formal public records requests. It is unclear why, but such requests are increasingly common not just in Portland Public Schools but around the state. Long an unspoken tool for journalists, public records requests now are coming in from all sectors. From the 2013-14 to 2017-18 school years, PPS saw a nearly 18-fold increase in the number of requests processed by the district's records custodian. Malcolm Ricks made one. 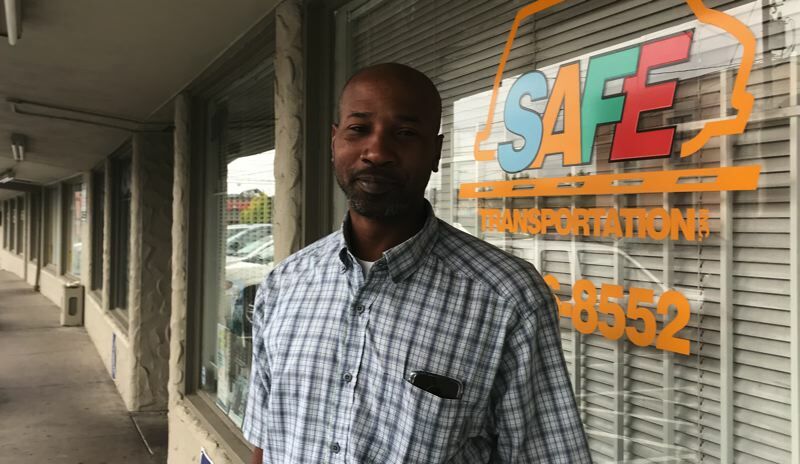 The owner of SAFE Transportation, which provides bus services for PPS special-education students, made a request June 22 for his drivers' clear background check certifications after trying for months to get them other ways. He said he's already paid about $100 apiece for the background checks and he just needs a letter confirming that they are clear so his drivers can work for other districts, too. The district contractor said these letters used to be provided as a matter of course during the past two decades of doing business with PPS. But something changed this year, and he stopped getting responses to his emails from the transportation department, he said. Ricks got a partial response to his request — seven of about 50 of the background checks — Aug. 8, but he's still waiting for the rest. Ricks wasn't charged for the records. "I really shouldn't have to do a public records request," Ricks said at his office in the Gateway neighborhood. "It took us four months to get the first set of documents, and they still haven't sent us all the information we're looking for." The Oregon Legislature passed several significant public records reforms in 2017. One of those established a maximum of 15 days to provide documents responsive to a request. But agencies have several ways to get extensions to that deadline. Ryan Vandehey, the district's public records custodian, said requests have been much more numerous and voluminous than he expected. The district currently has about 59 open requests for information. "I could only speculate as to reasons for the increase in volume," he said in an email. But Vandehey notes that reporters often cite "public records" as a source of information, which could have led to increased awareness of this governmental function. He also notes that the proliferation of email messages has created a large body of documentation now subject to disclosure. "I'm sure if you compared requests from 10 or 20 years ago, you'd see a difference in what was being asked for." Vandehey said that in conversations with other agencies around the state, he does think that requests for public records are on the rise everywhere. "I think PPS has some unique issues like the need to consider (student privacy law) in all aspects of our processes, but I would guess that every public body is seeing the same kinds of trends," he said. Stephanie Cameron, the district's recently hired senior director of communications, said the district has outsourced some of its public records reviews to speed up responses, and she is still looking to add more "support" to public records responses. "I don't know that we can rely on historical trends, because we're making history," Cameron said, noting increased public interest in the district's affairs. "We're clearing the deck of a lot of situations that needed to be addressed and needed to be sorted through." A new and greatly expanded policy passed by the school board in July calls for the district to provide responses to narrow requests for no or minimal cost and to "construe the public interest liberally in favor of disclosure." Under the new policy, retaliation of any sort by employees against those requesting public information could be grounds for discipline, up to termination. Administrative directives on how exactly the policy will roll out in the district are still being developed. In the meantime, Ricks said he is still waiting for several dozen background check letters. He plans to appeal to the Oregon Department of Education to provide them if he can't get a response from PPS. "I would say I'm looking for them in a timely fashion," Ricks said. "I'm in a holding pattern." Portland Public Schools received 356 public records requests in the 2017-18 school year. Five years ago, in the 2013-14 school year, they got just 19. The largest spike in records requests came in the 2015-16 school year. That was the year that the lead-in-water crisis prompted demands for hundreds of pages of documents on environmental health and safety concerns, as well as emails that could explain who knew what when. But the number of requests for public documentation from PPS has only continued to grow. Investigative reporters at The Oregonian, Willamette Week and the Portland Tribune accounted for 41 percent of requests, according to a July analysis from Vandehey. Half of the requests were directly from the public, with just 4 percent from vendors like Ricks. According to a spreadsheet provided Sept. 5, PPS had 59 open requests, of which nine were waiting for responses from requesters and two were under appeal to the Multnomah County district attorney. The other 48 were either in process or waiting for internal responses. The oldest request dated from September 2017. People don't tend to want to pay for the records. The Sept. 5 spreadsheet lists 67 requests that were cancelled in the 2016-17 and 2017-18 school years, most after the district provided a cost estimate to fulfill the request. The district has collected about $9,600 in fees so far in 2018 on eight requests. The vast majority of that was a $8,522 bill to the Multnomah County Republican Party for emails and other records on an anti-gun walkout in March. Portland Public Schools is not much larger than the Beaverton School District, but it does tend to get a lot more scrutiny. BSD spokeswoman Maureen Wheeler said she handles all the public records requests in paper files — a manageable system for a district that she estimates gets fewer than 20 requests per year. Wheeler said the district tries to stay on top of proactively putting out information on its website, so many requests are resolved informally with a link. But she has noticed a recent increase in formal records requests. "There's been an uptick, but I haven't felt it's overwhelming," she said. In the changing media environment, Wheeler said the increase is coming from nonjournalists. "I wouldn't say the media has upped that." David Douglas School District in East Portland also doesn't see a lot of formal requests for information. District spokesman Dan McCue said between him and the business office, he doubts the district gets more than two dozen a year. "Probably closer to a dozen or so," McCue said by email. "It's not frequent."